With this post we’d like to announce a few updates and bug fixes that we’ll be rolling out with the next upcoming 2.3, 3.2, and 4.1 release trains. If you are interested in receiving an early build with these fixes, please register with the preview program or reach out to Microsoft. We are providing a script to fix an issue with where member grids didn’t show up correctly for some customized marketing-lists forms. 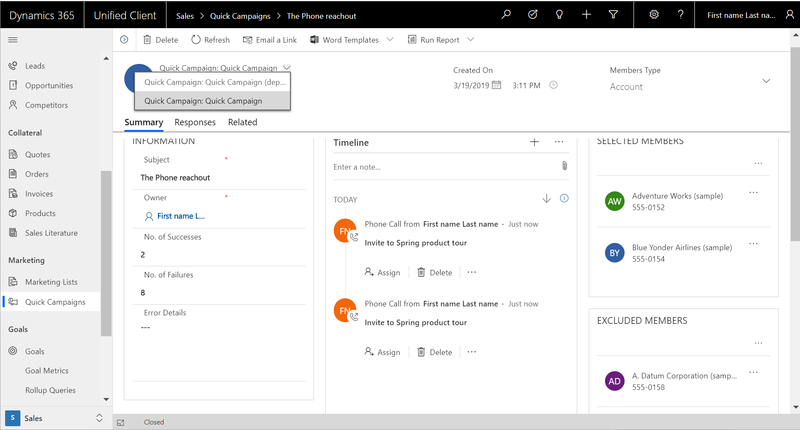 In several Dynamics 365 organizations, the relationships account_CampaignResponses and contact_CampaignResponses appeared to be missing. A bug fix reintroduces the relationships for those cases. Build 9.0.1903.2001 will start rolling out end of March and should arrive around mid-April in EMEA and NAM. We are soon rolling out the new unified-interface experience for managing members of dynamic and static marketing lists. This will replace the hybrid mode and provide a fresh and beautiful experience for managing list members. A fix that allows customizations to add a subgrid on the campaign activity to display associated activities. The relationship “CampaignActivity_ActivityPointers” was missing the navPaneViewId attribute. We will soon roll out an update to the quick campaign, probably in release train 4.1. The relationships to related information like members and failures will change to a regular N:N relationship. This allows us to take full advantage of the UI capabilities in the unified interface. Together with this change we will include new forms that customers can choose to start using instead of the existing form. The existing form will still be included be deprecated over time. In the upcoming release, the existing form will still be the default, but will be tagged as being deprecated. We recommend customers to start using the new form by using the form selector. The new form provides fixes for the sub-grids on the quick campaign form and now will correctly open members and show failures. Going forward the new form will become the default form. A dedicated Audiences tab makes it easier to find included members, excluded members, and failed deliveries for campaign activities and quick campaigns. The grids in the audiences tab will be filled only for campaign activities that have been distributed after the update has rolled out so that the new data relationships have been captured upon distribution. 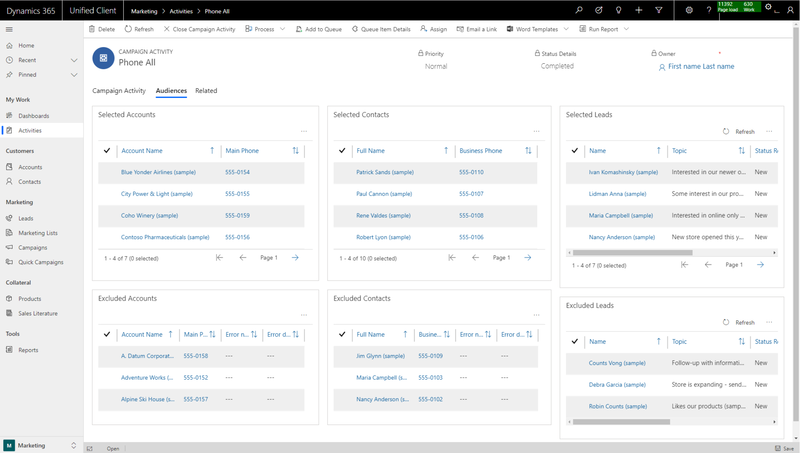 We hope that this notification helps our customers to plan for the iterative improvements in the domain of basic list and campaign management capabilities for Dynamics 365 applications.